“Mayor Gillum has a record of making Tallahassee safer," Hillsborough County State Attorney Andrew Warren said in a release touting the endorsement. On the very first day of the general election in the Florida governor's race, President Donald Trump tweeted about how Democratic nominee Andrew Gillum had "allowed crime & many other problems" to flourish in Tallahassee. But those statistics aren't the whole story, according to Hillsborough County State Attorney Andrew Warren. "Mayor Gillum has a record of making Tallahassee safer," Warren said in a release put out by the Gillum campaign Wednesday celebrating Warren's endorsement of Gillum. "As Mayor, Andrew Gillum invested in law enforcement and embraced criminal justice reform. His work helped achieve a double-digit drop in crime." According to Tallahassee Police Department data obtained by the Tallahassee Democrat and touted by the campaign in the release, the city in 2018 has seen a significant decrease in crime across the board. According to the Democrat, the city's crime rate was down ten percent in the first six months of the year compared with the same period in 2017 — when crime overall hit a five-year low. And violent crime was down 24 percent. "I'm thrilled and honored to have the support of State Attorney Andrew Warren in this race for Governor," Gillum said in the release. "He understands the critical link between smart justice and public safety, and he's one of our leaders in strengthening and healing communities." 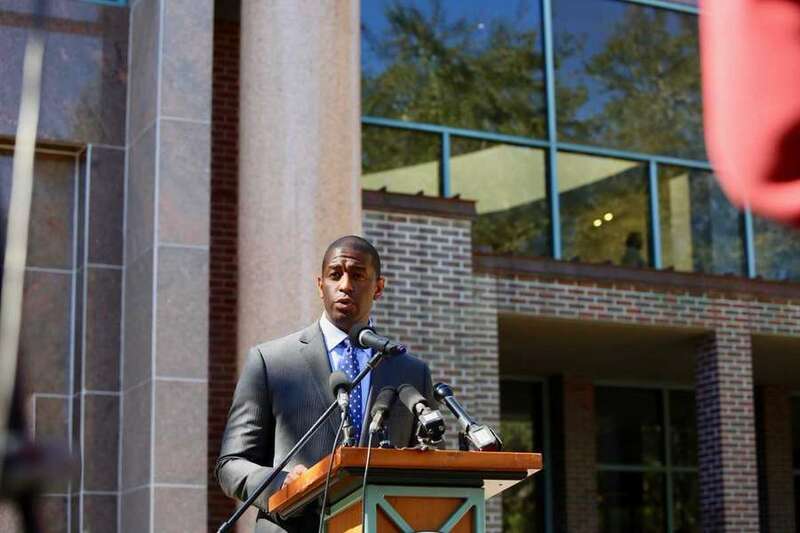 Read more about how Gillum has managed Tallahassee's crime rate here: For Andrew Gillum, violent crime called for 'state of emergency.' Others didn't agree. Times/Herald reporter Elizabeth Koh contributed to this story.